The IBM® TS2240 Tape Drive Express Model H4V—one of the entry-level IBM tape product family offerings—is the answer to growing storage requirements and shrinking backup windows. Incorporating the fourth generation of advanced Linear Tape-Open® (LTO®) technology, the TS2240 Tape Drive is suited for handling the backup, save and restore, and archival data storage needs of a wide range of small systems. 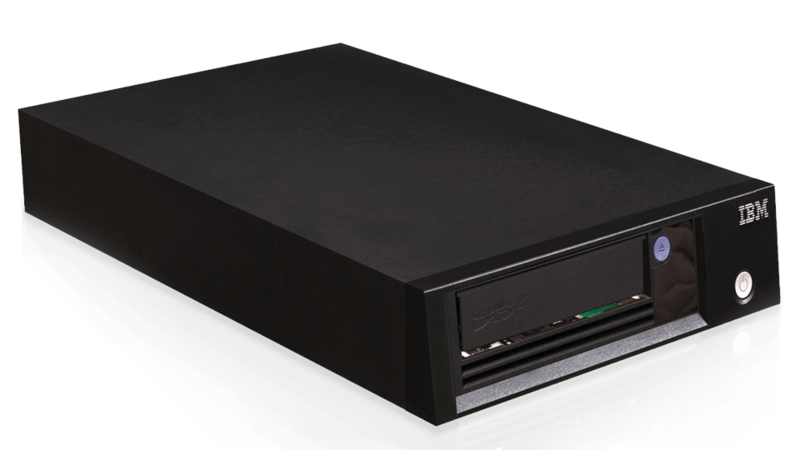 In addition, the S2240 Tape Drive is an excellent tape storage solution for businesses requiring backup or low-cost, real-time archival storage of their data. The TS2240 is the answer to growing storage requirements and shrinking backup windows. The TS2240 supports the LTO Ultrium 4 data encryption standard. The TS2240 is designed to be managed by tape management software solutions such as IBM Spectrum Protect® or other third-party storage software.